Many Oregonians are surprised to learn that Willamette Falls ranks just after Niagara Falls—it is the second-largest waterfall in the country by volume. 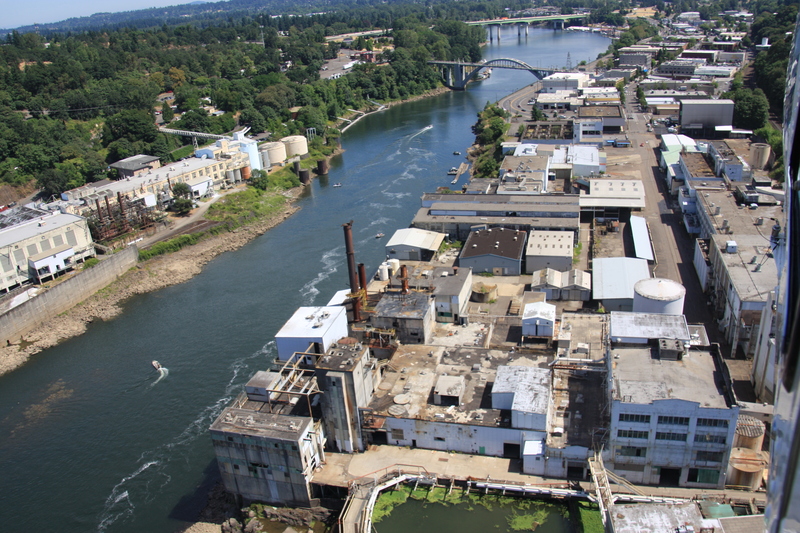 MFA is happy to share the great news that just this month, final design was unveiled for a new public Riverwalk that will extend from Main Street in Oregon City through the Willamette Falls redevelopment site (formerly Blue Heron), providing up-close views of this mighty waterfall. MFA has been working with Metro since 2016 to assess the redevelopment site, with tasks including hazardous building materials surveys, soil sampling, scheduling for abatement and remediation, and integration of cleanup and redevelopment components. The team’s fast track planning and investigation work is funded through a USEPA assessment grant. MFA is working with Metro on strategic thinking and project scoping to make sure that the Willamette Falls site cleanup and redevelopment fit well with the overall project phasing, including the newly unveiled plan for the Willamette Falls Riverwalk.